One of the people from my church gave me her business card a couple of weeks ago. I predicted this years ago! I was seeing so many students whose parents were doing everything for them. They were protecting their kids from all consequences, they were doing all the chores at home, they were organizing everything so their kids wouldn’t do anything. I predicted that when those kids were older, there would be a market for someone to be paid to be their mom and do stuff or them. It has come true. Ha! I bet this was her master plan the whole time, and that she started a blog long ago to create her helpless client. Genius. Evil genius….. Happy Birthday! You are seven squared today!! HAPPY, HAPPY, HAPPY BIRTHDAY DEAR BRAD! HOPE YOU CELEBRATE BY DOING SOMETHING SPECIAL! LOVE YOU HUNNY! Happy birthday my son! My labor mostly took place in church with Pastor Smith preaching his usual long sermon! !You were really quite patient!’ Lots of love and enjoy the day!!! Happy birthday, Brad! Enjoy the sun!! Hehe… thanks for the birthday wishes, everyone. I forgot to write something in the post. I’ve had a weird sleepiness this week where I’ve been going to bed super early. For the record, I didn’t forget that today was my birthday. Ha! And I am so excited to be a Perfect Square this year! Woo hoo! Wait – nobody asked this yet?? 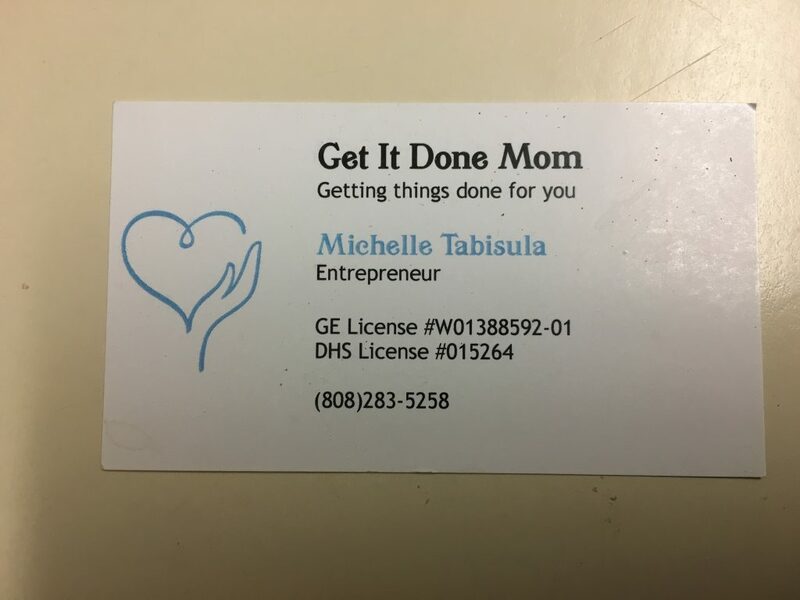 “What do the license initials stand for?” Like does “GE” stand for “Great Effort” as in “Great effort, my child, even though you came in fifth in a field of four!” and can a DHS-license holder now legally Deliver (all of) His/Her Stuff (for him/her, as all enablers do)? Inquiring minds need to know these things!! Wonder what the business cards of the current Lawnmower parents will say? “Paving the way for success for your child by assuring (s)he will never have to face any disappointments, challenges, or even a hang nail” Oy!